I always associate Christmas with jigsaw puzzles, and I'm starting to build up quite a collection of Christmas themed jigsaws, although so far only ones for adults. But this week we were sent a lovely new puzzle for little ones from Ravensburger to review - The Snowman and the Snowdog . Mia has been showing quite an interest in my jigsaws lately as I often have one on the go. She's desperate to help me, but of course they are far too difficult and take too long for her to enjoy the satisfaction of completing one. So it was lovely to have a puzzle that she was able to do too. The puzzle is aimed at children aged 6+, but is perfect for younger children to complete with a bit of help. The pieces are large, which means that it is easy to spot which part of the design they are from, and sturdy enough that the puzzle can be completed over and over again. They slot together nicely and it's obvious when you've put a piece in the wrong place. It took just just the right amount of time to finish - long enough to be satisfying but not too long that she got bored. The finished puzzle measures around 50cm by 36cm so it fits nicely on to the coffee table or a large tray. The picture shows the characters from the new The Snowman and the Snowdog film, sequel to the classic The Snowman. The children love both films and we've watched them over and over, and Mia insisted on having it on in the background while we worked on the puzzle! She loved doing the jigsaw together, and was so proud when we finished it. This puzzle would make a lovely gift for a little one this Christmas! We received this jigsaw puzzle to review. 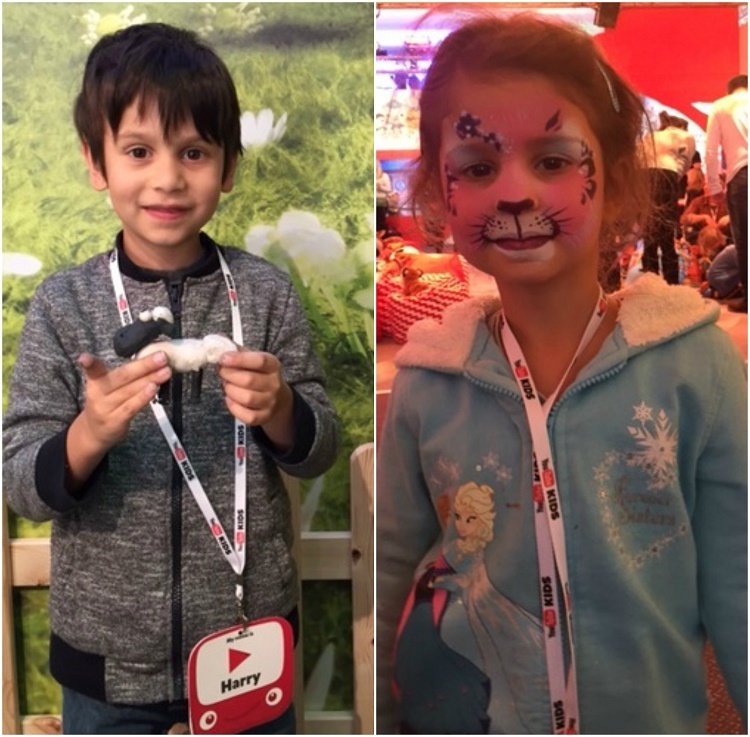 At the weekend, we were invited to London Zoo for the launch of YouTube Kids. YouTube Kids launched in the UK and Ireland last week. It's a free app which makes the YouTube experience safer and more accessible for young children, and we had a lot of fun at the launch party while we learned all about it! Mia loves any opportunity to have her face painted, and so while she was being turned into a pink cat, Harry and I attempted to mould plasticine into something resembling Shaun the Sheep, one of the many familiar television programmes that is available through the YouTube Kids app. I think he did very well! We also enjoyed some delicious food - these cake pops were amazing, I wish I could get mine to turn out like this! The children had a brilliant time playing trains with the Fat Controller (or Sir Topham Hatt as he's known these days), meeting Postman Pat and an Octonaut, and the chance to see meercats, an armadillo and a donkey close up. YouTube Kids is a completely logged out experience, so it's not linked to a YouTube account and you aren't able to like, share, upload or comment on videos. The channels and playlists can be browsed in four categories - Shows, Music, Learning and Explore - and feature many familiar series like Thomas & Friends, Postman Pat and Teletubbies as well as those aimed at older children like Stampy and his Minecraft videos that Harry is currently loving. Parents can choose whether to limit their children to the videos that the app has selected, or allow them to use the search function to find other videos that meet family friendly criteria. There is also a timer function, very handy! We've been using the app for a few days now and I've been very impressed with it. I know how easy it is in YouTube to click on to video after video and before you know it you are looking at something completely different. At least using this app you know that everything the children find will be family friendly. It's also really easy and intuitive for little ones to use by themselves, and packed with familiar programmes and characters. Then we had the time to go out and explore the zoo. 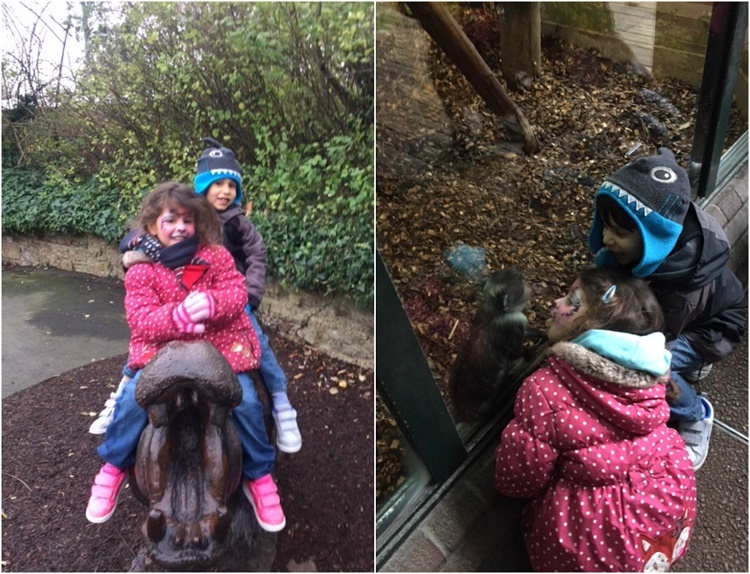 We'd not visited London Zoo since Harry was a little toddler, so we had a lot of fun looking around. Harry was interested to see the Reptile House where his namesake Harry Potter first discovered his ability to speak to snakes, and both children loved making friends with monkeys through the glass. Thank you very much to YouTube for inviting us along, we had a great day! Christmas is a great time for crafting, whether you are making things for yourself or for others. We received a lovely box of Christmas crafts from Baker Ross to review and we've made some lovely things which will both make great Christmas decorations and that I hope will be appreciated by loving relatives this Christmas! I really like these Reindeer Wooden Photo Frame Kits. They were very easy to put together and can also be personalised. The children drew pictures to go inside with a recipient in mind, which could easily be swapped for a photo. They have sturdy little feet to hold them upright, or you could also glue a magnet to the back for the fridge. Another lovely gift idea is these Christmas Bucket Buddies. Again they were simple to assemble and are nice, sturdy little baskets. I'm planning on filling them with festive sweets and treats as gifts. They would also make a nice decoration for around the home at Christmas, perhaps popped under the tree with some chocolates inside. Mia really enjoyed colouring in some Christmas Personalised Door Hangers and because there are eight in the packet we had enough to pass onto some friends. 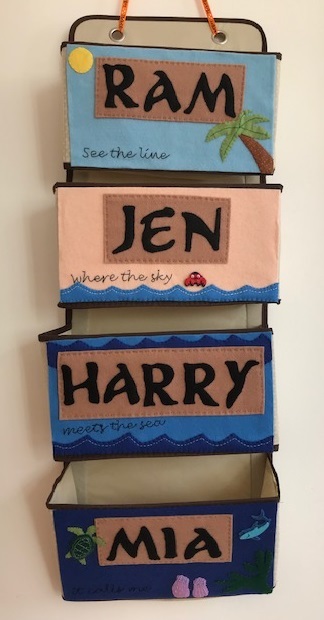 The door hangers are made from sturdy cardboard and come in four different designs. We also made some gorgeous snowmen from the Build a Snowman Kits. Along with a few Penguin Bean Pals they will make a lovely festive display. Finally we received a pack of Penguin Stained Glass Effect Hanging Decorations. We haven't started these yet as I'm saving them for a play date nearer to Christmas, something that the Baker Ross kits are perfect for! I received these products as a member of the Baker Ross Bloggers Network. This Christmas I was asked by Turtle Mat to take part in their 2015 Christmas Wreath Making Challenge. I was sent a selection of crafty bits to make my wreath, and a voucher to purchase any extras. With my new love for crochet I decided to make my own crochet wreath, inspired by the gorgeous seasonal wreaths designed and made by Lucy at Attic24, and so I purchased some yarn in varying shades of green. First cut the wadding into strips about 4cm wide and wrap around the wreath base. Overlap the end of one strip with the beginning of the next one, and make sure that it isn't wrapped too loosely so that the wadding stretches to fit the shape of the ring. Secure the last end with a few stitches, and stitch down any other parts where the ends of the wadding have come loose to make sure that the wadding covers the ring evenly. You don't need to worry too much about how it looks as of course it will be covered by the crochet cover, but it's worth trying to make it as smooth and even as possible. I used a half treble crochet stitch as it works up quickly and doesn't have too many holes in it. I was glad that I chose a quick stitch as I was quite surprised by how long my strip of crochet needed to be - although it was only 20 stitches across I needed to make it nearly a metre long. I'm still quite new to crochet so my strip wasn't the neatest, in particular the edges turned out a bit uneven as I've not quite got the hang of keeping the same number of stitches, but fortunately this didn't matter as the edges are completely hidden. Then I added my accessories. The little robin has wires on it which I just poked through the crochet and wadding. I cut out some simple holly leaves from felt, and decorated them with a bit of green glitter, then I glued them in place along with some red fake holly berries. Finally I used some festive cord to create a hanging loop. And here's the finished wreath, ready to hang! I'm not sure that I'm brave enough to put it on the outside of the front door though, I'd be too upset if it got wet or blew away! Turtle Mats sent me a box of crafting materials and a voucher to purchase the extra bits for my wreath. Amazon links are affiliate. With Christmas approaching, I thought I'd take a look at some gift ideas for Mums that enjoy crafting. Crafting is something that can easily be put to one side when children come along and reduce the amount of free time available, but I've always found taking time to craft really important for relaxation and a sense of accomplishment. So whether you are buying for a crafty person or looking for ideas for yourself, I hope that there's something here that appeals to you! 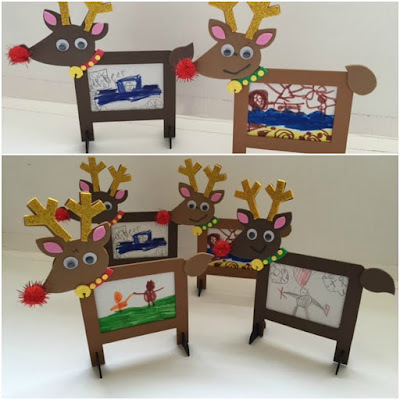 If you are a creative Mum then it's pretty much a given that you'll enjoy doing creative things with your children, and perhaps being inspired by the crafting products that they use. That's how I discovered Hama beads, and I particularly really love the tiny mini Hama beads. You can buy some lovely little kits like these Hama Mini Bead Owls or Mini Hama bead butterflies which are quite quick to make up. This isn't a craft to do around young children though, I've learned from experience how easily the boards can be knocked over and all your hard work destroyed! One very popular craft that you can easily do around small children is colouring. 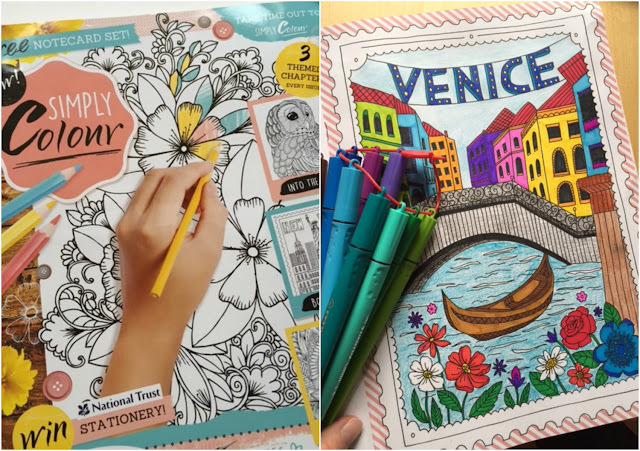 I have quite a selection of colouring books now, and I was recently sent some lovely new ones from Phoenix Yard Books to try. The One and Only Mandala Colouring Book and The Second One and Only Mandala Colouring Book contain some lovely, detailed mandalas to colour in a range of styles. Mandalas are a traditional source of meditation and wisdom, and colouring them in is great for some relaxing creative time. 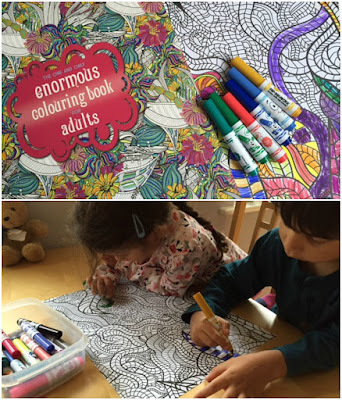 If you enjoy colouring alongside your children I also love the idea of The One and Only Enormous Colouring Book for Adults . It's a large format book filled with gorgeous patterns that can be easily removed from the book and worked on by several people at once. We've been having a lot of fun colouring in together and it's lovely to see how differently everyone interprets the patterns. Personally I like to colour with felt pens, I have these ones - Stabilo Cappi Fibre Tip Felt Coloured Pens - which are lovely to use and come in a good range of colours. For more detailed work though many people prefer to use coloured pencils, and you can get some lovely sets, like these Faber-Castell colouring pencils in a tin . Another craft which I've found good to get on with around small children is cross stitch. I like it because you can pick it up and put it down easily so it's good if you are constantly being interrupted, not like knitting or crochet where you have to concentrate on counting stitches! You can make some lovely samplers to display your baby's birth information like this Dimensions Birth Record Cross Stitch Kit . There are also some gorgeous cross stitch designs that you can use to decorate your child's room, like this The Stitching Shed Village Sampler Cross Stitch Kit . I chose to make a sampler for myself based on a historical design, and although it took me years and years I'm so proud of it! A session of evening classes would make a lovely crafty gift, especially for things like stained glass or pottery that are difficult to try out at home, and it saves having to invest in expensive equipment. And for me it's not only the monetary value of the classes that I'd appreciate but a set evening each week where I knew that my 'me time' was booked in! You could also consider money or vouchers towards a crafty evening with friends. One of our local garden centres runs crafting evenings where you can enjoy a glass of wine while you craft, and pottery painting together is always fun. Some companies will loan a basket of materials so you can do pottery painting at home and then pay for what you have used, or you could give enough vouchers for a group of friends to go along together. Make it clear that these craft materials belong to Mum! 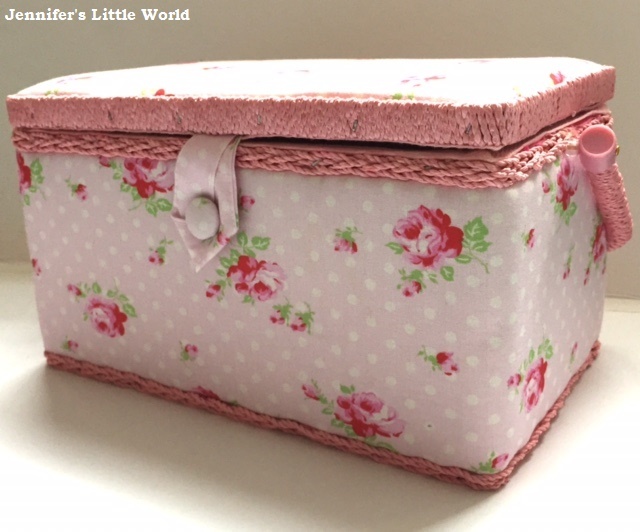 For storing sewing supplies you could look for a gorgeous traditional wooden sewing box or a more modern printed fabric sewing box . If you are buying for someone that loves organising they might light a set of little plastic drawers to keep tiny bits and pieces safely out of the way of little fingers. I love craft kits because they contain everything that you need for a craft, so if you give a craft kit as a gift you can be sure that the recipient won't need to go out and purchase any extra materials. How about a kit for something like Decopatch - I received this Decopatch Love And Hearts Kit a couple of years back and it kept me happily occupied for ages. I've also enjoyed kits for soap making and candle making which were quick and easy to use and gave lovely results. I've seen some gorgeous kits which have everything you need to knit or crochet a baby blanket like this luxury crochet baby blanket kit , or else I've already mentioned cross stitch samplers. I remember my Mum shopping at Clothkits when I was younger, and I still have the doll with clothes that she made me. I hope that this gives you some gift buying inspiration for the crafty Mum (or indeed Dad!) in your life! I received the adult colouring books to review but all other products have been purchased or selected by me without any incentive. Amazon links are affiliate. I love making lists, and I regularly brainstorm ideas for blog posts. Lately I've been spending a lot of time crafting and I think that this has been reflected more and more lately in the content that I've been publishing on my blog. So I thought I'd share a list of blog post ideas that I came up with for craft blogs, many of which would also work for blogs in other niches. 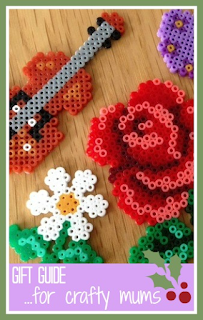 1 - What you've been working on lately - A summary of your current crafty diversions along with in progress photographs. BeingMrsC does this really well with a regular crafty catch up post, it's especially good if you've been sharing the odd picture on social media as it lets your readers catch up fully with where you are at on a project. 2 - A list of current works in progress - Not necessarily things that you are working on at the moment, but a good way to keep a record of those dusty and unfinished projects stuffed in drawers that you really do intend to complete one day. Here's my list - Unfinished craft projects. 3 - A new craft that you'd like to try - Perhaps create a Pinterest board with examples that have inspired you, and then link to the board in your post. Pick out particular examples, along with photographs (make sure that you have permission to post them) and write about why this craft appeals to you, or what has stopped you from giving it a go. For example, I'd like to try quilling but I've been putting it off because I'm not sure what I'd do with the finished work. 4 - Pinterest Wins - Things you've made inspired by Pinterest that you were really proud of. Here are my Pinterest Wins! 5 - Pinterest Fails - Conversely, things that you attempted inspired by Pinterest that didn't turn out quite as well as you had hoped. 6 - How you store your craft supplies - Any storage solutions that you are particularly proud of? Or perhaps a wishlist of storage items that you'd like to own. Again, you could embed a Pinterest board where you've collected together some crafty storage ideas. 7 - Pictures of your crafting stash - Crafters love stash photos that they can compare to their own. They don't need to be particularly well organised or staged for the photos - just heaps of yarn, piles of washi tape or stacks of coloured paper that fellow crafters can drool over! 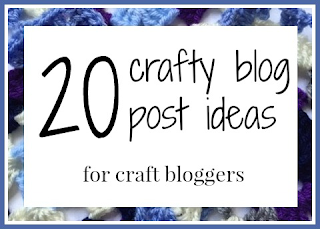 If you dabble in lots of different crafts this could even form a series of blog posts! 8 - Update on a long term project - When I was working on my cross stitch sampler I posted regular updates about how I was getting on. It felt fantastic to be able to publish my final post with a photograph of the completed work, and of course link back to all the previous updates. 9 - A round up post - Group together a selection of your own blog posts that are linked by a common theme, perhaps seasonally or using the same materials in different ways. A great way to draw attention to older posts that would otherwise get lost in your back catalogue. 10 - What inspires you? - Share a photograph of a place or object that inspires you or gave you inspiration for a particular project, and write about it. 11 - How do you fit in your crafting? - Do you have to slot in your crafting time around other commitments, like work or family? What tips can you share about what works for you? 12 - Write a review - Review a piece of craft equipment that you use regularly, particularly a piece of expensive kit that people will be researching online. If you own several different tools that do the same job, for example different brands, compare and contrast them. 13 - Crowdsource for a post - Ask other people for their thoughts and options - Facebook is great for this, whether in a group, your blog page, or from your personal profile. You could ask people what in particular they enjoy about their favourite crafts, ideas on the best places to purchase materials and equipment, or to share a photograph of something they've made that they are particularly proud of. Offering a link back will generally get an excellent response from fellow bloggers and you can easily write it all up into an interesting and useful blog post. 14 - Compile a list of your favourite crafty bloggers, tweeters or Instagram accounts - Pick out people that you can recommend to others, and make sure to let those featured know that they've been included. If you tag them on social media there is a good chance that they will share your post with their own followers. 15 - Start a regular weekly or monthly themed post - Perhaps a regular catch up on what you've been working on, or take a look at a different craft or technique each time. As you get into a routine you might even want to make it a linky so that other bloggers can join in and add their own related posts. 16 - Challenge yourself to try something new - and blog your progress. Write about what made you choose this craft, what materials you needed and how you chose them, how you taught yourself - link to books that you used or videos that you watched. Ask readers to offer help and advice if it's something that you are finding tricky. 17 - Round up links to your social media channels - to remind people where they can find you when you aren't posting on your blog. Especially the social networks where you share photographs and updates on your crafty endeavours like Instagram or Pinterest. You could expand the blog post by discussing the things that you like and dislike about each platform, and perhaps suggest a few of your favourite people to follow on each. You could also offer tips to help connect with like-minded people, for example hashtags that you use or groups that you are a member of. 18 - Share some pre-blogging craft projects - Have a look around your house for things that you made before you started your blog and share some pictures. These will probably be some of your favourite finished projects, and it's great to remind yourself how much you enjoy having them around. 19 - Write a wishlist or gift guide - Either things that you would like for yourself, or things you've spotted that you know other crafters would love. You could keep it general or go for things along specific themes - like gift guides for different age groups or for people with specific interests. It may also be a great post to point people towards when your Birthday or Christmas is approaching! 20 - Change it up completely - and write about something completely different. Write about a recent day out that you've enjoyed, share one of your favourite recipes, perhaps blog a book or film review or discuss something that you've read about in the news. You might spot me using some of these ideas in the future - and they are all blog posts that I'd love to read! If you use any of these ideas please do feel free to leave a link to your post in the comments below so that I can see and share it! Update - You can see my Sky Blanket here - My completed crochet Sky Blanket. As I come to the end of my Patons Crochet Along blanket my thoughts are turning to new projects. I can't quite believe how well I've picked up crochet. A few months back I had accepted that crochet was not a craft for me, but the invitation from and encouragement of the Make it Coats team really gave me the push to try it again, and with a bit of help from my Mum to start me off I was soon flying, and as well as the Patons Afghan I'm also building up quite a stock of squares to make my own granny square blanket (which already features lots of sky themed colours!). I was already thinking that I'd like to try my hand at making a new blanket in the New Year, and so when I heard about the Sky Blanket project that was recently launched by three fellow bloggers I knew that it would be something that I'd love to take part in. A Sky Blanket is a blanket created over the course of a year, inspired by the colours in the sky each day. You can use any medium that you like - knit, crochet, quilt or perhaps something else entirely - and you can use any design and pattern that you choose. Many Sky Blankets are knit or crochet in rows with a different colour each day, but you can also come up with a design using squares or other shapes. There are already lots of people signed up to take part in the Sky Blanket 2016 project, and some really creative ideas being shared. We've been chatting about ways that you could represent other types of weather in the blanket like wind or rainbows, as well as including ways to represent birthdays, holidays or other special events throughout the year. 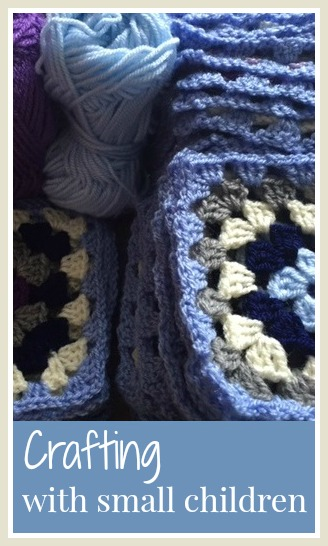 I've decided that I'm going to crochet my blanket, but I need to think carefully about my pattern. Crochet is great for blankets as it works up really quickly, but with 366 rows to plan for it could well end up being enormous! I also need to work out what yarn I will need and in what colours. Unfortunately living here in the UK I need to assume that my blanket is going to require a fair bit of grey so it would be nice if I could come up with a way to vary it a bit, and I'm going to need to find a yarn that will represent rain. Of course I've started a Pinterest board filled with inspiration for my blanket, check it out below! Follow Jennifer Jain's board Sky Blanket 2016 on Pinterest. For more inspiration, check out what the founders of the project are planning! This Christmas, we were again invited to experience the Squire's Washington Christmas Circus. As we were visiting before Christmas, we saw the Christmas Toy Story circus show. I was really impressed with the festive decorations in the tent, especially the circle of coloured hanging lights around the stage, it was really pretty! There was a big Christmas tree too with lots of presents. We had Front View tickets in the front row and we had a very good view, but the tent isn't too big so I think you'd see pretty well from anywhere. It was quite cold in the tent though, so you need to wrap up! The story follows Twiglet the clown, who is trying to get to sleep on Christmas Eve in the circus tent. Unfortunately he's not finding it easy, even with the encouragement of the ringmaster. When the ringmaster isn't looking Twiglet shows the audience some of the presents that he has bought for his friends, and they magically come to life and perform a selection of circus acts, including fire juggling and an aerial silk display. The show lasted nearly an hour and the children really enjoyed it, they particularly loved Twiglet the clown and his funny antics. 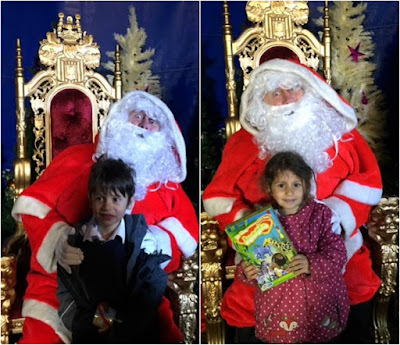 When the show was finished we all followed Father Christmas out and the children were handed their presents by the circus performers, then we had the chance to snap a quick photo with Santa as we passed by. We received complimentary admission to the preview event in exchange for this post. When it comes to birthday presents, it's difficult to remember the ones that I've received each year. But one birthday present that will always stick in my memory is the one that I received for my seventh birthday - the My Little Pony Dream Castle. I absolutely loved it. I remember setting it up with all the accessories and I had such fun playing with it. It was one of the few toys that I kept when so many were passed on, and it spent quite a few years waiting up in the loft for new children to play with it. It's not in the best shape now, and you can tell that it has been well loved. The two walls have come away completely, many of the accessories have been lost, and poor old Majesty is missing her tail. A few years ago we were sorting out our loft, and I hauled it down for Harry to play with. He was only little, and had never heard of My Little Ponies, but he had a brilliant time playing with it, setting it all up and getting out all the ponies, even if he did add a few cars in to the mix. I love this photo - you can just spot baby Mia in the background looking on with interest! More recently the Dream Castle has been out again as the new My Little Pony television series has entered our lives, with Mia in particular being a big fan although Harry still enjoys it too. In fact the castle has become a pretty constant fixture in our living room. Mia has amassed her own fair sized collection of the My Little Pony figures, but she still enjoys playing with my old ones which are still in good shape (and I like to think nicer than the more petite newer figures!) There is still so much play value left in the castle even though it's getting a bit battered, it was definitely a sturdy toy when it was purchased all those years ago. In exchange for sharing these fond memories I was given the opportunity to select a new 'future heirloom' toy from the toy section from George at Asda. 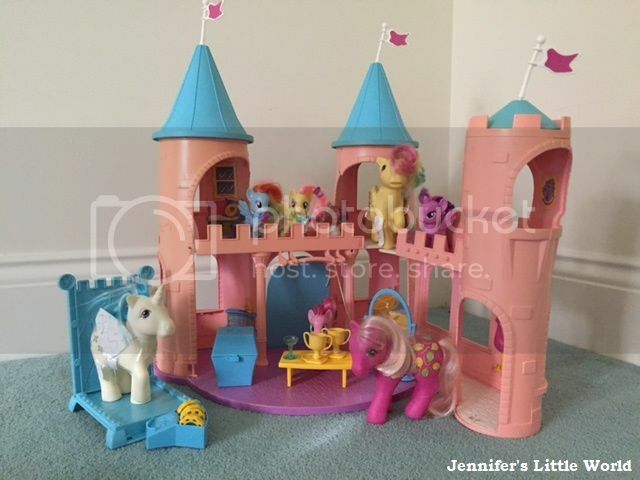 As soon as I saw that you can now buy an updated My Little Pony castle - the Canterlot Castle Playset - I knew what I would choose. The castle looks fantastic and I know that it is something both children will love playing with. So Mia will be opening it on Christmas morning, and I'm hoping that it will be something that they will enjoy playing with for years to come. Maybe Mia will even store it in her own loft for any future grandchildren to play with! The other day felt very indulgent. In the early afternoon while the children were still at school, I sat on the sofa, put on an episode of Sherlock, and got out my crochet. For an hour and a half I sat in blissful peace and quiet, undisturbed, ignoring my e-mails and the housework, and worked on my granny square blanket. Of course this would be the time that the window cleaners chose to show up, and when I handed over their money I had to hold myself back from making sure that they knew this was a one-off and normally I occupy myself with far more worthwhile pursuits while the children are out! But with all my new found time during the day I'm getting on well with my blanket! I'm enjoying it, because I have found it very difficult over the last few years to get any crafting done with the children around. Of course you can craft in the evenings, and from when they were tiny we've attempted to enforce an early bedtime that leaves us with free evenings. But crafting is a solitary occupation, and although my husband and I very much enjoy watching television and films together in the evenings, he is insistent that we have the lights turned off to fully appreciate his cinematic set up, and it isn't possible to crochet or cross stitch at the same time. I also find it difficult to craft in the evenings because of the lack of natural daylight, not to mention that until very recently my childrens' erratic sleep patterns have meant that I've been pretty much exhausted come their bedtime. But I've still managed to get quite a bit of crafting done over the last few years though with small children around, so I thought I'd share some of the ways that I've managed it. Firstly, I've found it important to choose a craft that can easily be picked up and put down, and where it doesn't matter if you are interrupted. Cross stitch is perfect for this and it's probably why I've never really got on with knitting, I just can't concentrate for that long on a pattern. Cross stitch can be easily tucked away, and if you do leave it out it's difficult for anyone to mess it up, unlike knitting where pulling out a needle causes all sorts of problems. Crochet is also working quite well for me so far, as I can see where I'm up to and pick it up again if I'm interrupted mid row. Secondly, I try to find crafts that I can do at the same time as the children are occupied with their own crafting. Hama beads are perfect for this, and recently I've discovered the wonderful world of adult colouring books. I've tried out a few different ones and I'm currently working my way through a fantastic new magazine - Simply Colour Magazine - which I've been sent to review. Every issue features over 25 illustrations to colour, divided into three themed chapters. Each issue costs £3.99, which I think is very good value for a magazine, and there is an excellent range of illustrations. In this edition my favourite section is titled 'Bon Voyage!' and includes drawings based on cities around the world which would look lovely framed. I also like that the pictures are on one side only, so you don't need to worry about pen leaking through the pages, and the pages have a nice, smooth texture. Thirdly, multi tasking is very important. I enjoy having something to do while I'm watching television by myself when Ram is away, and I also find I can fit in a few minutes of crafting time while the children are in the bath, while they are reading to me, and while I'm waiting to be sure that they are asleep in the evening. Finally, I think it's important to make time for your crafting, or whatever hobby that you have. Let the children see you working on it, even if you can only squeeze in a few minutes a day, perhaps while they are busy playing or watching television themselves. Then they will see that it is something that is important to you, and will hopefully encourage them to think about spending time on their own hobbies when they are a bit older. If I have a project on the go I sometimes try to get on with it instead of just picking up my phone or just staring into space, and it's surprising how the odd little minutes can add up. This is why it's important to me to find a craft that you can pick up and put down easily! If you are looking to buy a gift for a crafty Mum or Dad you might like my gift guide with some ideas for crafts and crafty pursuits that fit in well around the family! You can see it here - Gift Guide for Crafty Mums. I received a copy of Simply Colour Magazine to review.